A-dec Dental Equipment promotions are here! 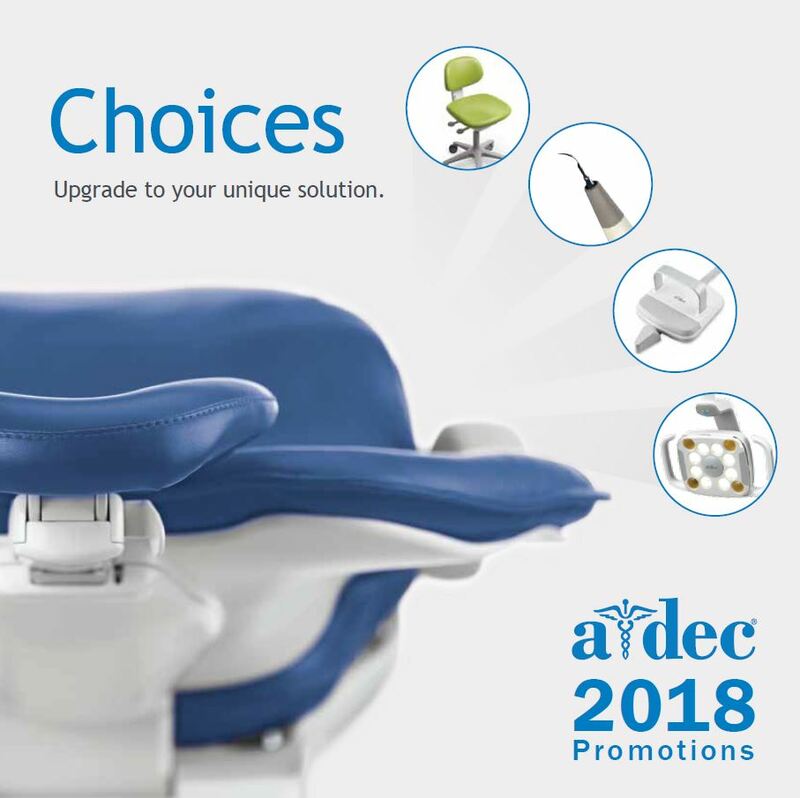 From the 1st August 2018 to the 30th November 2018, this world leading manufacturer of dental equipment is running some generous offers on this Dental Chair Packages. 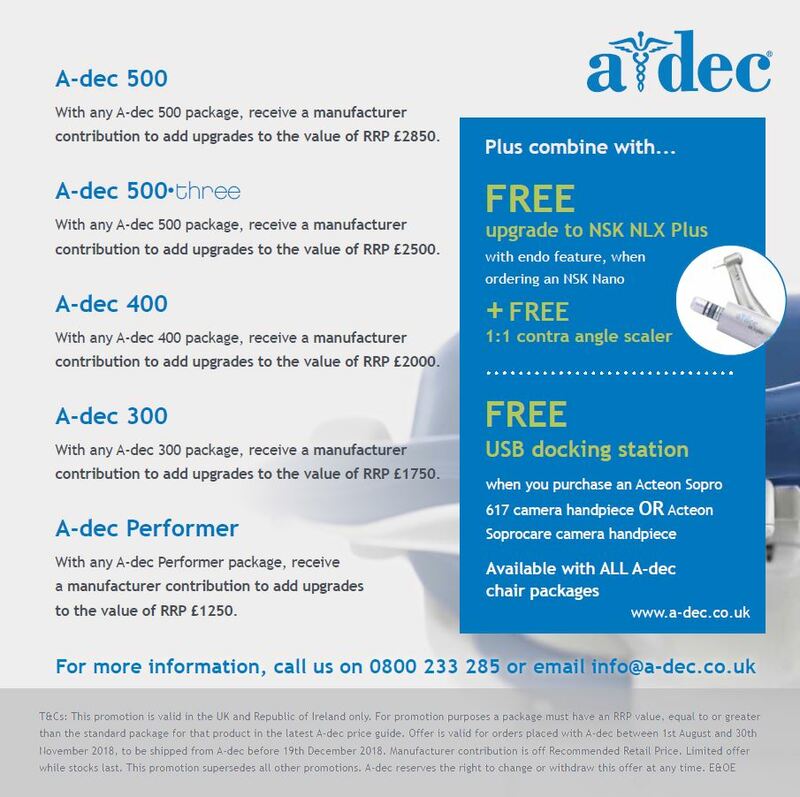 Hague Dental are an authorised dealer in the UK for their equipment and are delighted to bring you these offers. We have worked with A-dec equipment for over 10 years. Our expert team highly recommend their chairs packages for their reliability, longevity and outstanding comfort for doctor and patient. Call our team of dental equipment and surgery design experts to discuss these promotions further. Get an idea of the savings you can make this season. We offer ‘no obligation’ design consultations at your practice or potential site (if you are maybe look at a new squat dental practice). Let our project management team to ensure your refurbishment keeps your downtime’s to a minimum. Let the Hague team take responsibility for your project and combine it with these great seasonal promotions.